The SPX Index went from 2130.36 to 2107.39 for a -1.08% week. Year to date the market is up only 2.36% almost half way through the year. The life of a buy and holder is tough. This week I made no trades as the market continues in no man's land giving no attractive opportunities for Credit spreads. I will continue to ride my two Iron Condors as long as the market stays trapped in this narrow range that we're in. With a no man's land condition I won't sell individual credit spreads on one side of the market. There is just too much room for the markets to go in either direction. For selling Puts I would wait for a 2% decline, so 2070 or so. Selling Credit Call spreads on the other hand is not attractive to me here either. For the same reason: this market can explode to the upside. Don't let recency bias cloud your judgement, yes the market hasn't looked too strong lately, but for some reason bears haven't been able to move it lower either. So, this market deserves some credit. I need a 2 - 2.5% rally here before I start considering Credit Call spreads. 3 weeks to expiration. 94% probability of success. This has been a well behaved kid. I'll just ride it all the way to exp. I see no concerns on the horizon here. Strike prices looking very safe with RUT priced at 1246. Looking good 78% probability of success, 7 weeks to expiration. SPX is sitting at 2107.39 so this position feels very comfortable to me. I won't need to touch my Iron Condors this week. I estimate that the RUT June Iron Condor will be threatened if RUT hits either 1180 or 1325. By that I mean, if RUT goes down to 1180, the Put side of the Iron Condor will reach 30% probability and it will therefore be in need for an adjustment. I think it is unlikely for RUT to lose 66 points (from 1246 down to 1180) in just a week as it represents a 5.3% fall. On the way up I also don't see RUT reaching 1325, or a +6.3% gain in a week. Looking at the July SPX 1935/1940/2220/2225 Iron Condor, my estimated adjustment points are 2020 and 2180, that's where the Put side and the Call side would reach 30% probability respectively. I think those numbers are unlikely for a week: a 4.1% fall or a 3.5% rally. As for new offensive moves, again I need to see the market decline or rally, in order for me to act after the fact. I say, SPX 2070 will get me interested in selling Puts and SPX 2160 is the number I need in order to start evaluating out of the money Credit Call spreads. If neither one of those numbers is reached it will be bad for my offensive game as I won't put more money to work, but it will be great for my defensive game, as my existing positions will keep peacefully burning that time premium in my favor without a market moving violently. Friday: Europe's GDP. US Non-farm Payrolls, US Unemployment numbers. I'm out, but not without leaving you with a picture of the southernmost house in the US first. I love Key West. Highly recommended for relaxation. 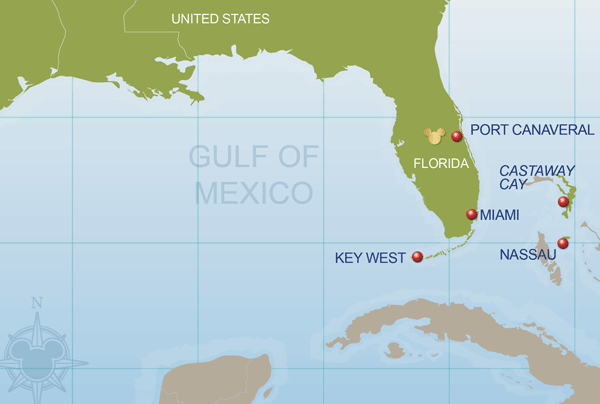 I have never been to Key West but visited Miami and West Palm Beach a few years ago. It was a boring trading week last week. No new trades last week. > Why do you sell 20-wide strikes? When it reaches your adjustment points, what is your plan of action? Thanks for sharing. I wrote a reply to your questions last week, but the post disappeared from the blog a couple of seconds after I published it. I don't know why that happenned, but I didn't have time to write it again. Anyway, here are my comments. > Why do you sell 20-wide strikes? See our discussion in Weekend Portfolio Analysis from March 14, 2015. My goal with selling wider spreads is to reduce commission fees. But there is another point that I did not realize until recently: I am reading a book about trading options from Al Sherbin (tasty trade). The book is called 'How to price and trade options'. In one of the chapters, he talks about the effect of credit spread width on the probability of profit. Basically, with increasing width of a credit spread, you increase negative vega of the spread. This implies that wider credit spreads (20-wide) will make more money when implied volatiliy falls compared to narrow credit spreads (10-,5-wide). When you feel that volatility is too high and you expect it to fall, you might consider selling wider spreads that have higher probability of profit than narrow spreads. > When it reaches your adjustment points, what is your plan of action? See our discussion in Weekend Portfolio Analysis from April 11, 2015. I use two types of adjustments: (i) Debit spread - when the sold options exceeds delta 20 or the open loss is about -5%, then I buy a debit spread to reduce the bleeding by cutting the position delta by half (obviously, you have to pay for the debit spread which reduces the max profit, but I am fine with that). (ii) Rolling - when the sold options exceeds delta 30 or the open loss is about -10%, then I roll all losing credit spreads futher from the current price of the underlying. After the roll, I may keep the debit spreads until it is close to its max profit. Hello all........ looks like we got a venue for the first LT reunion!!!! On Wednesday, the SPX June iron condor spreads reached my profit target. I bought them back at 0.55. I originally sold four of these at 2.50. Realized profit $780 (11.1% on $7000 margin). This was the only trade that I made in this yet another quiet week. With all June positions closed, my trading account is now up 17.8% YTD. There is still plenty of time left until August expiration, so I will not open any new positions. I will monitor the two existing ones in case I need to adjust them. Congrats on the nice YTD gains. When are you planning to sell August iron condor? Unless the market threatens my July credit spreads (by making a sharp move up or down), I am planning to sell iron condor spreads in SPX ten weeks before the August expiration. Provided the market is still range bound, I will sell another iron condor spreads in RUT one week later (nine weeks before August expiration). The reason for selling credit speads in SPX first is that SPX has on average a lower implied volatility compared to RUT (I give SPX credit spreads more time). The house looks amazing. It's like a castle from a fairy tale. Did you fly or did you drive there? It must be quite an experience to go through all those small islands. Somehow I didn't get the email notification from this comment when you posted it. But better late than never. 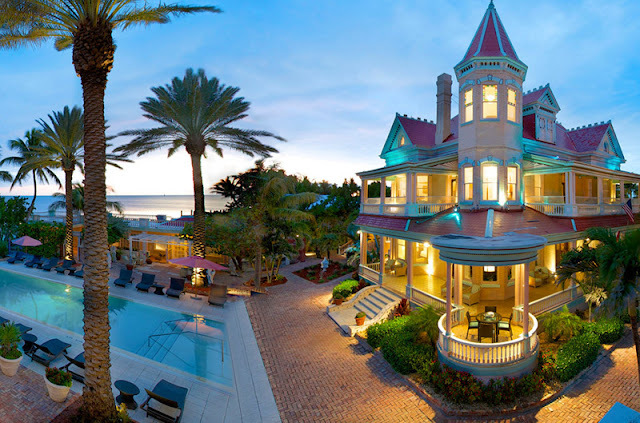 The Southernmost house, yes, looks very pretty. I dropped by it and saw it, but I didn't stay there. Apart from the tropical and typical sunny/beaches tourism, there are a lot of museums, abandoned forts, Ernest Hemingway's house. Interesting place indeed.